September 7th -12th 2019. 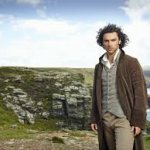 Poldark tour in Cornwall. 6 nights with the usual 5 days of tours and walks. 5th Year. Would you like to walk in the landscape where Poldark was filmed? We did successfully for four years between 2015 and 2018. We chose the week when they were filming and so far these past four years we have watched the cast and crew film the next series. 2019 will be the airing of the 5th and final series (so they say:-). Want to tour around the actual places where they shot the external scenes of the critically acclaimed and long awaited drama? 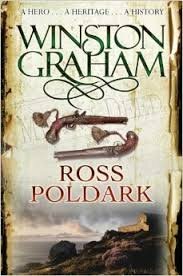 Immerse yourself in the scenery of where Winston Graham's stories of Russ Poldark were written. We include locations from both the new 2015/9 series and the original 1975 series. walkitcornwall offers you 5 days of walks and tours following in the footsteps of your favourite characters that have once again enchanted the world on the small screen. What you get is a complete understanding of the background to the stories. I walk with you and tell you stories of the miners, the wreckers and the families of Cornwall. We take in the industrial and mining heritage that took so many Cornish families abroad to "the next parish", to America, Australia and South Africa. 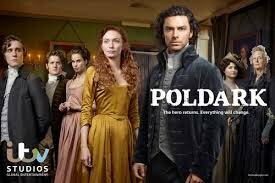 We will be immersed in the landscape where the scenes were shot for the new series of Poldark. Writers, artists and many creative people have been influenced by this unique landscape and we explore many areas of Cornwall in our private VW minibus. We will take you around Cornwall for five days, feed you, force you to have pasties, cream teas and ice creams while walking off the calories. As part of the cultural partnership with tourism businesses walkitcornwall is in the position to lead the way, literally, on a professionally produced and endorsed walking and touring holiday. Stay in Falmouth at one of our recommended accommodation providers who we have worked with for many years. 7 nights with 5 days of tours and walks. You need to be able to walk up to 5 miles per day where the terrain is cliffs, beaches, headlands, heathlands and moors.